Attack! Attack! Attack! Run! Run! Run! 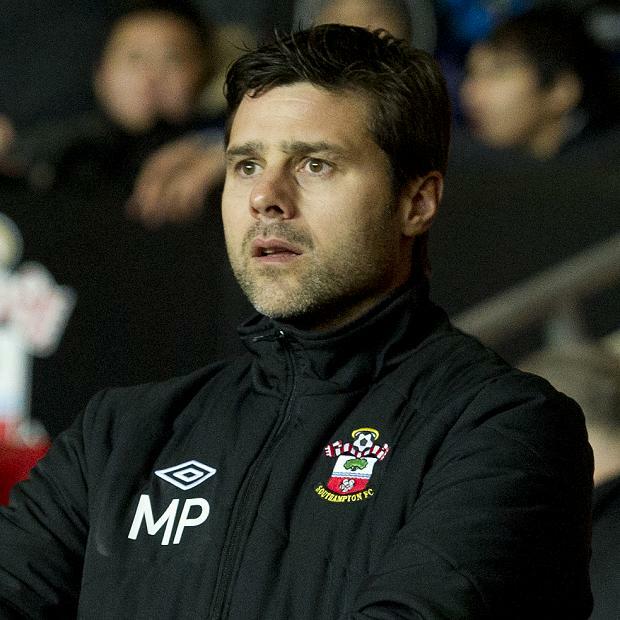 Mauricio Pochettino's teams do a lot of running and a lot of attacking. Their work-rate is phenomenal. It all seems far too much for the main man himself, Poche, to handle. He looks like he is about to have a panic attack. You can tell that he is a quiet, albeit nervous, chap. You can tell he is really passionate about what he does, that he is an obsessive. He is a bit like me, really. Poche is from a humble background, having grown up in a poor town near Rosario. He was scouted by his mentor, Marcelo Bielsa, to play in the Rosario team Newell's Old Boys. He derives his tactics from 'El Loco' Bielsa, although he is more pragmatic when implementing them. Again, Poche is another example of someone marked by his uprbringing. Although he enjoyed a playing career in Europe, he is not at all flamboyant with his gestures. He is to the point. He does not talk at all about his private life. He is in the football stadium to one thing and one thing only: win a game of football. Yet for all his humility, Poche isn't without his ideals. He is an idealist. He does want to achieve great, big, unheralded things. At the same time, he is down to earth about it. We can tell this we look at him. (Again the same shtick!) We can tell from the look in his eyes that he is driven to win big things with risky tactics. He is full of nervous energy - and he wants to transpose that nervous energy onto the pitch. Indeed, his teams are frenetically fast. Sadly, they often end the season having run out of legs. We can also tell that he is down to earth in that his gestures and hand signals are kept to a minimum. We sense that he gets close to the pitch simply to let the players know that he is there. With his nervous demenour, however, could this have an adverse effect? It's finally beginning to work with Spurs. They really are beginning to resemble their manager - at long last. If there's one team that lacks graft, it's Spurs. They now have both guile and graft thanks to their exemplary manager. If there's one key word that recurs in his press conferences, it's 'a philosophy.' This shouldn't be taken as a sign of pretension. Rather, it should just reveal that Maurcio Pochettino is a man of integrity and principles who wants to achieve great things playing the way he wants to play.